Every day during the Steam winter event I checked the sales and achievements. One day I noticed a game called Universe Sandbox for $2.50 and it had an easy achievement. I saw a video and was intrigued. When the video showed a colorful display of planets swirling I paused it and hit purchase game. 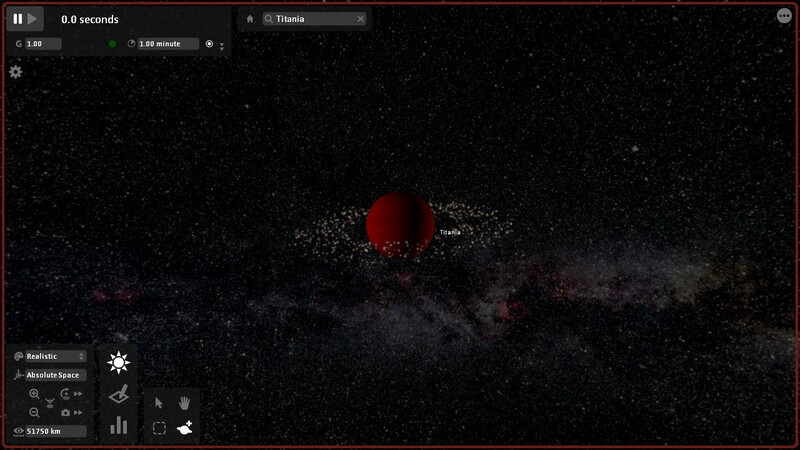 Universe Sandbox is a space simulation game. 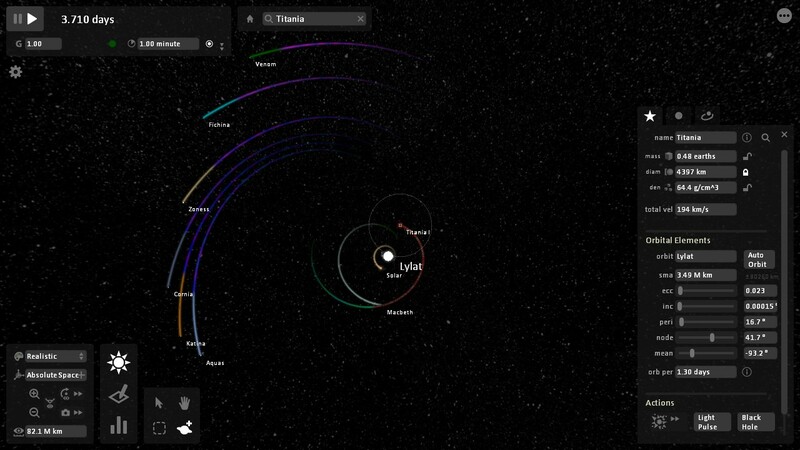 It allows you to create your own solar systems or even galaxies and then destroy them if you wish. 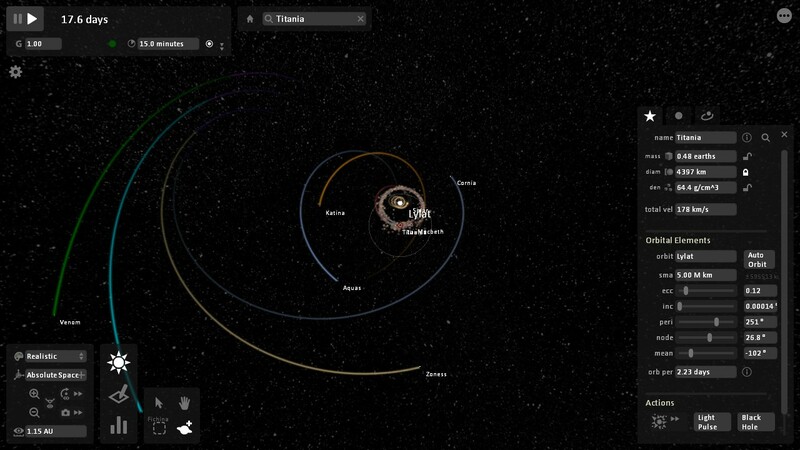 I didn’t wish to but most of my solar systems kind of suffered a horrible end. After a short download I booted up the game and quickly got the achievement. Then I ran through a tutorial and started creating. The first thing I thought to create was the Lylat system from the Starfox games. I didn’t know what order the planets were in so I used Arwingpedia to get as much information as I could. Ultimately, I couldn’t figure out what order the planets went in so I had to guess. My first attempt went very badly. I didn’t realize that binary star systems have both stars in the middle of the plants so I placed a couple planets between Solar and Lylat. It was a disaster. Nothing stayed in the orbit that it was supposed to and even the stars started drifting. By my third attempt I was certain I had a working Lylat system. For sixteen days my version of the Lylat system was working like it should then something went wrong. 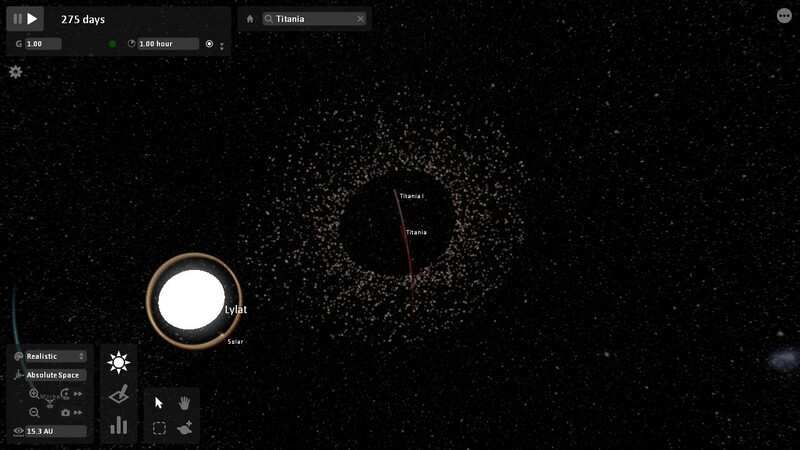 I can only guess that Titania’s moon crashed into it’s ring or that Solar got too close to it because the ring exploded and started orbiting the stars instead. After that I noticed some of the planets weren’t staying put either. I learned a bit with each failed attempt and they left me with interesting stories to laugh about as well as some pretty cool pictures. I have thoroughly enjoyed Universe Sandbox. I believe it was a worth while purchase. Anyone who likes space and physics should check it out.